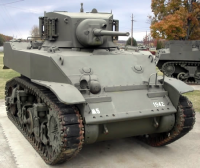 Der M5 Stuart ist ein amerikanischer leichter Panzer der Stufe 4. 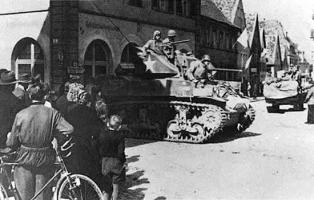 Als Weiterentwicklung des M3 Stuart ging der M5 im April 1942 in Serie. Bis Juni 1944 wurden 8.884 Stück zweier Ausführungen gebaut. Dieser Panzer wurde auf allen Kriegsschauplätzen eingesetzt. 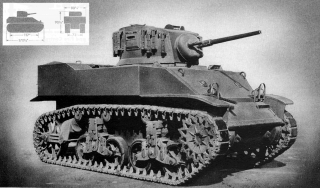 At first, the M5 Stuart appears to be a minor downgrade from the M3 Stuart, with slightly less armor, but more hit points. However, the armor is slanted better, and doesn't make too much of a difference. 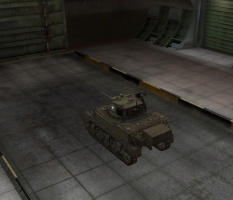 This tank used to be able to equip a powerful 75mm Howitzer M3, but it was removed in Patch 9.3 and replaced with the 37mm Gun T16 automatic gun. As such, it still posses formidable firepower against lightly armored tanks, but the low penetration hinders it greatly against heavily armored tanks. However, the M5's excellent speed and agility can be used to expose the thin rear and side armor of your opponents for maximum effect. Come in fast, get close, and then get out of there. You can always come around for another pass from a different angle. 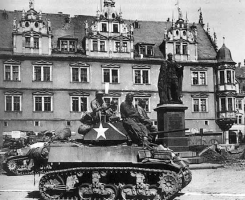 Der M5 Stuart führt zum M7, und dem M24 Chaffee. The top gun, the 37mm Gun T16 is a fully-automatic cannon, one of only 2 in the game; this means it fire 5 shells per shot, this can take quite some getting used to and the potential to hit your own allies after ducking back into cover! 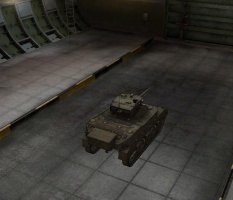 Due to its battle tier placement, this tank is relegated to a scouting role. 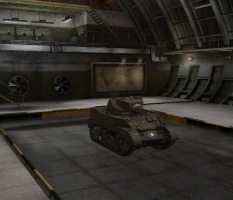 This tank is not completely defenseless, but as it cannot stand against enemy fire, you should harass the enemy with hit and run tactics. This tank can win in a dogfight with pretty much any other tier 4 light, destroy almost any arty it will come up against, and seriously annoy anything else. If you can force the enemy's attention away from your allies, their jobs will be much easier and you will have greatly contributed to team victory. You are a very small target with passable view range, a good radio and extremely good mobility, making active scouting possible. 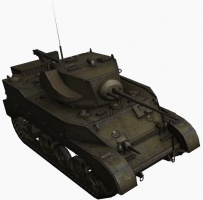 While performance characteristics are excellent, its gun performance leaves much to be desired, as with the actual M5 Stuart. 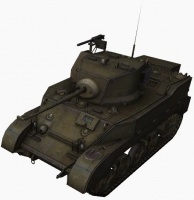 While the T16 gun allows it to pump five shots in the span less than four seconds dealing 200 damage if all shots hit, the penetration and alpha damage values are horrible; they are literally the same as the preceding gun, the 37mm Gun M6, a cannon adequate against Tier III vehicles when mounted on the M3. This severely limits the targets it can engage. Even with premium ammunition, it is incapable of penetrating the side or rear armor of some heavy tanks, tank destroyers or even a few medium tanks. If you do encounter them, then you may either retreat and let allies deal with them or pin them by tracking them long enough for allies to come to your aid. 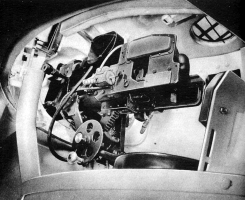 The Continental R-975-C1 engine and the SCR 506 radio carry over from the M3 Stuart and should be installed immediately. 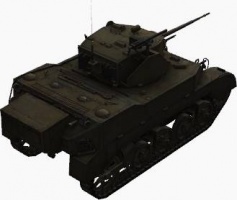 As a scout, your primary objective is to light up enemy players, not try to kill them, therefore it is recommended that you research the VVSS T36E8 suspension first. 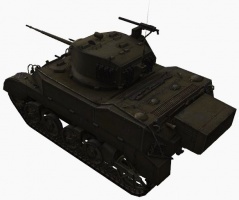 The 37 mm Gun T16 autoloading gun is next and is needed to unlock the next module, the M5A1 turret which has more armour and an increased view range. 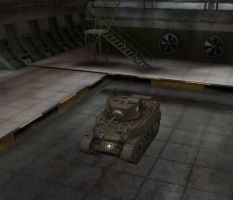 After that, the player can choose between the M7 and the M42 Chaffee.